When they asked what brought us to this iPad workshop, my answer was ready: “I’m desperately looking for more apps related to French teaching.” Their answer was just as ready: good luck. Turns out there isn’t as many apps out there for language learning as there are for other subjects like math or science. But there are a few. 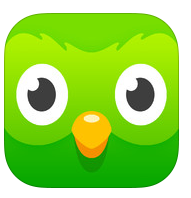 One particular app caught my eye, from the French iTooch series: les Bases du Français. 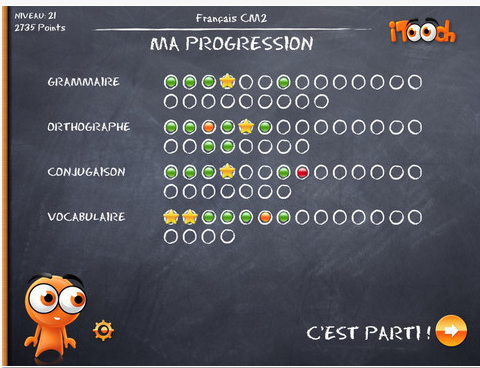 It’s built as a quiz game where you test your grammar, vocabulary and spelling skills in French. As if that wasn’t enough, it’s quest-based, which means that you are rewarded when you pass certain levels. Their system mimics karate belts. I got my orange belt already. I’m making my way to the top. The lite version is free but will only get you so far. The full version is a ridiculous 6$. What really caught my eye though is iBooks Author. This app is Mac-based, though (you can’t make it work on a iPad), but the end product it helps you create is very iPad friendly. 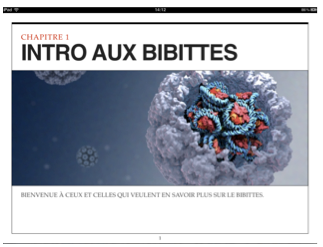 iBooks Author is free and enables you to create your own virtual textbook, complete with images, videos, interactive graphs and built-in quizzes. 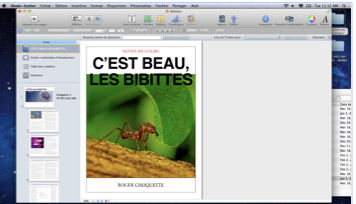 We got to fiddle around with it a bit: in a matter of minutes, we had built a whole chapter of the book (about twelve pages) with pre-existing materials (typed notes, pics, PPTs and other stuff). If you already have a bunch of your curriculum in electronic form, putting it together in a neat little e-book is a breeze. Plus, once your book is finished, you can plug your iPad in your computer to beta-test your creation, and adjust things if necessary. Keeping in mind there’s next to nothing available in French out there, I’m strongly considering going for some home brew, and making my own textbook. It’s just that easy. When you have the time, of course.